Is there anything better than the smell of fresh baked bread? Any kind of baking smells great to me but the scent of yeast bread wafting from the kitchen makes me feel like I have the coziest house on earth. With this never-ending winter I have been baking a lot more bread than usual. Molasses brown bread is a particular favourite of mine and I have a new recipe that I have been enjoying thanks to a local molasses fan. That bread, Sarah’s Molasses Brown Bread, is on page one of our updated Bread Book, an e-book that features 36 recipes for yeast breads, tea breads, muffins and scones. Although it’s my current favourite, there are plenty more new recipes in the e-book that I have enjoyed a lot over the past few months. 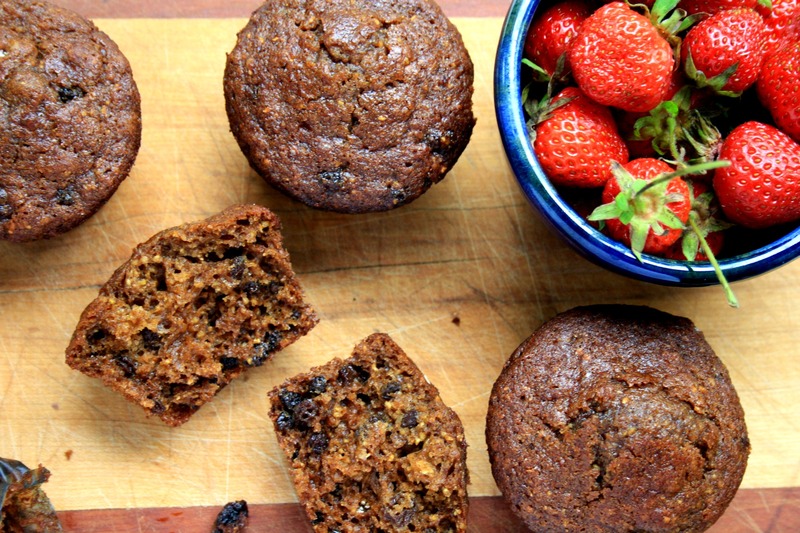 Boston Brown Bread Muffins are an easy-to-make take on the classic Maritime Brown Bread recipe. They’re moist and have great texture thanks to a little cornmeal and dried currants. There is a recipe for Carrot Cake Muffins that almost crosses the line to become a carrot cake but not quite. I have turned them into a special treat with Molasses Cream Cheese Icing. Biscuits and scones are often my go-to recipes at suppertime if I’m serving soup or stew. They’re quick and easy to make and leftovers are handy for lunches the next day. There is a new recipe for Molasses Scones in the e-book that I’m particularly fond of. They’re wholesome and have a little crunch from a sprinkling of sunflower seeds. As you can see, this new e-book is a veritable treasure trove of molasses bread recipes for all seasons, and any time of day. Hi Rose, This is an e-book only. The file size is quite large but later today I will post a version of the ebook that is a lot smaller. In the meantime, you can substitute up to half of the flour called for in a recipe with a whole wheat flour. As well, I often make muffins and biscuits with all whole wheat flour (whole spelt flour is my favourite). Is it possible to received the copy of your bread book by mail. I would prefer to have it that way. I do enjoy many of your recipes and thank you for making them interesting. 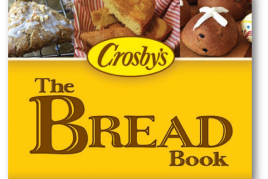 Hi Cynthia, Our Bread Book was created as an ebook only so we don’t have printed copies. Sorry. Hopefully you can work with the online version. I followed the recipe for the Chocolate Chip Cookie Cake and it was absolutely Delicious. I had to make another one the same evening. The whole family loves this cookie/pie and can’t wait for me to bake a similar one. I loved it too but I’m anxious to try the molasses brown bread. Thanks so much. Sandy. Hi Sandy, I’m so pleased you’re enjoying the recipes. My kids went crazy for the cookie pie too! Hi Linda, Our Bread Book was created as an e-book only so we don’t have printed copies. You could always have it printed at an office supply store like Staples. 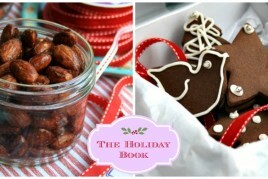 I received my cook book for recipies using Molasses and like it very much thnk you. I would like to order one for my daughter who lives in Calgary. 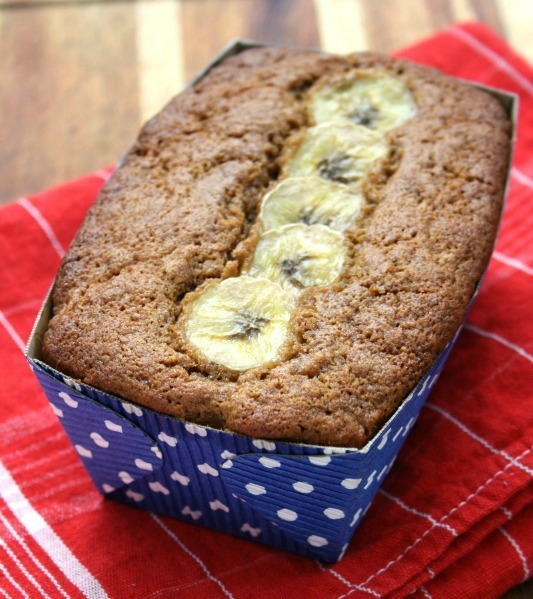 Hi again, We have a few recipes for molasses brown bread on the website. Is there one in particular that you were looking for? Hi Leonard, I’d be happy to email you the Bread Book file if that’s simpler for you.